In the days before electronic music, musicians used to have to play things called “guitars.” There are very few players left among us with the skills necessary to play this seemingly lost instrument but programmer Chris Ladd hopes to resurrect the so-called “git-fiddle” with modern technology. Ladd, a former programmer for the New York Times, created TabBank, a surprisingly elegant tool for producing tablature for the guitar. Tablature is a notation system that simplifies songs down to their chords (“Joe [D] loves [G] corn [D]”). 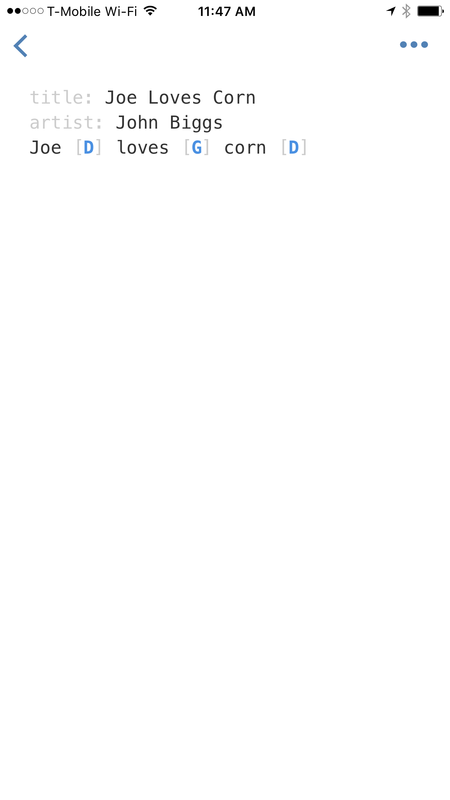 There are a number of ways to write this kind of tab and the files are popular with guitarists. With tabs you can easily play almost any song or use tools like Riffstation to follow along with popular songs. Ladd’s tool is quite simple: you write out the text and add bracketed chords inside the text. The app then creates a properly formatted tab for easy playback, shows chord structure of each chord, and lets you export it as a PDF or to other popular guitar formats. The app has macros that make it easy to add in brackets and chords you’ve already used. Once you’re done with the tab you can play it back and hear exactly how the song will sound on the guitar. 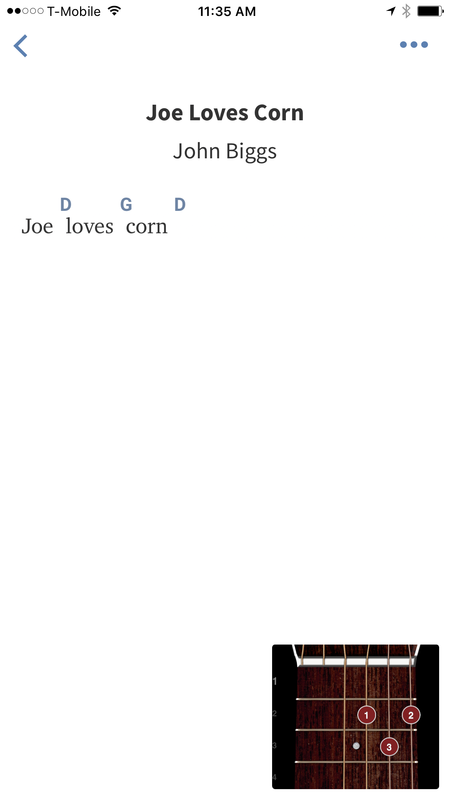 I was able to write a very simple song about Joe’s love of corn in a few seconds. “TabBank is, first and foremost, a tab editor, something that very, very few apps actually do, and fewer do well. In fact, I haven’t been able to find an app for the iPhone that lets users actually edit tab, chords, and lyrics all at the same time, let alone one that then creates formatted sheet music, another thing almost no other tab apps yet do,” he said. Ladd calls it the Instapaper of guitar tabs but it’s actually more like a desktop publishing solution for music – easy, quick, and accessible to all. It can also be used for songwriting, as evidenced above. The app is available in the iOS store now and is free to try. A pro upgrade costs $4.99. Ladd is bootstrapping his business and will be expanding the platform over time. While guitar may someday return to prominence in the music world, it’s good to know that tools like TabBank are there to help those benighted souls who still depend on “strings” and “wood” to make music as they continue their quixotic efforts in the creation of “acoustic” art.